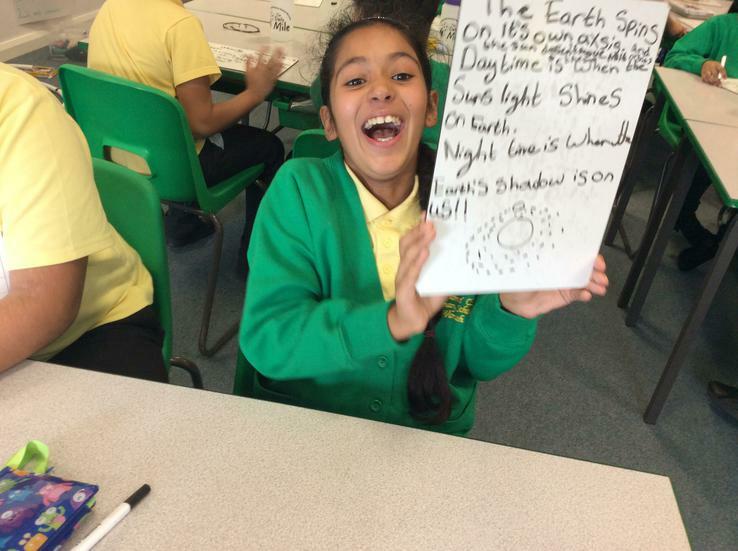 This term we are looking beyond the clouds into our solar system! 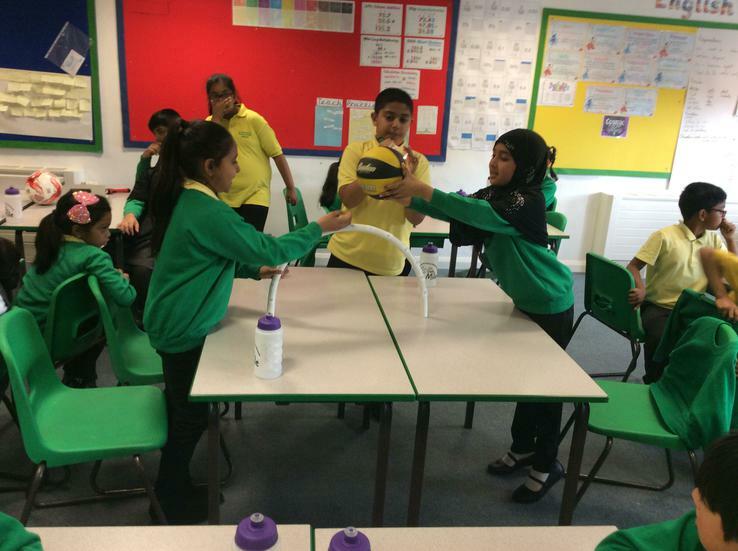 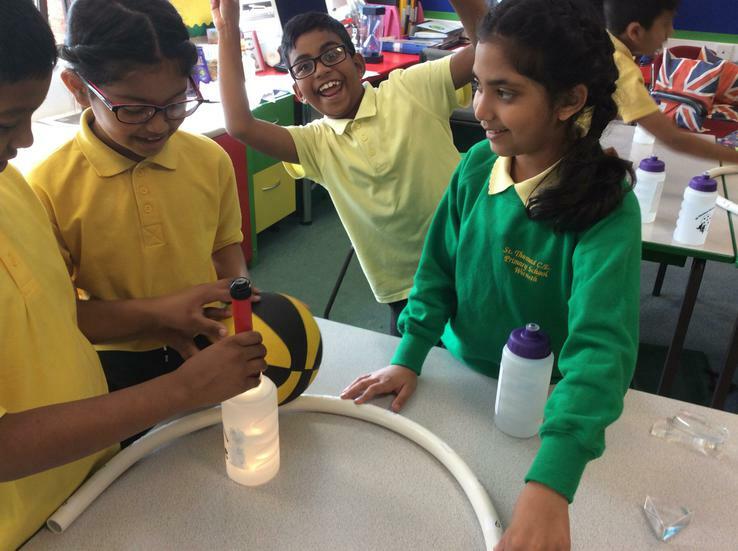 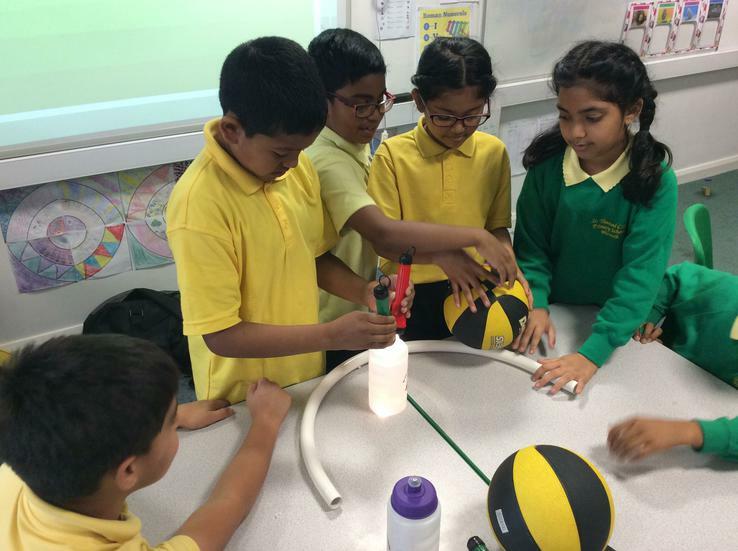 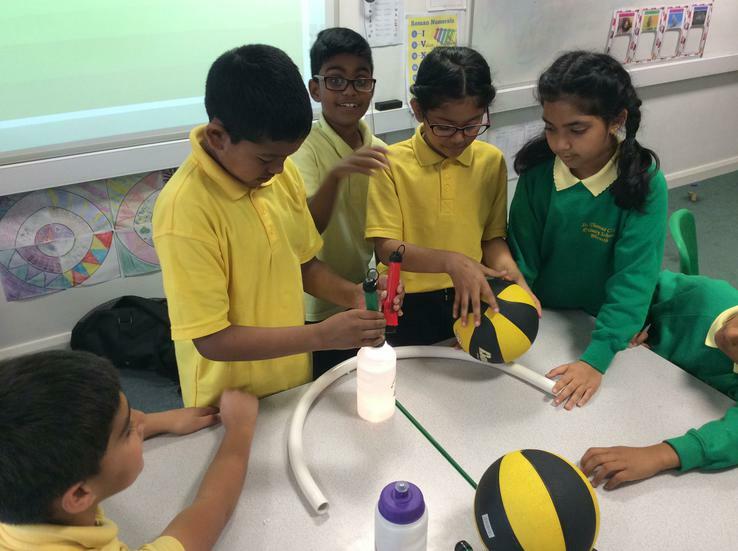 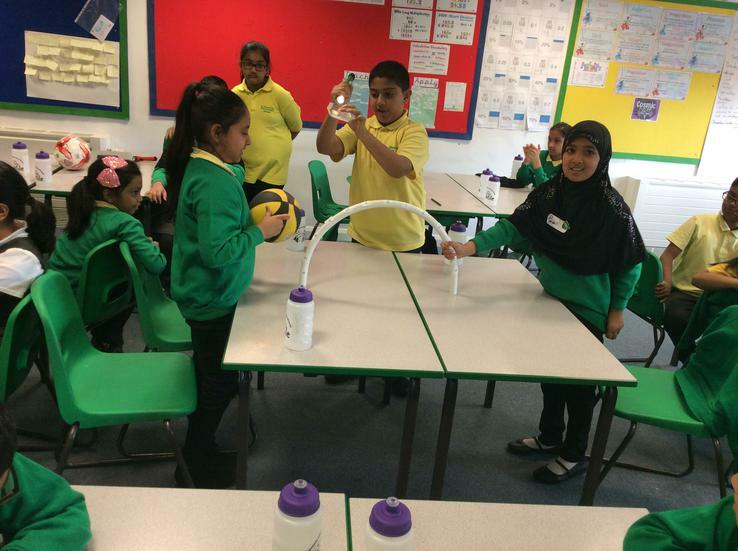 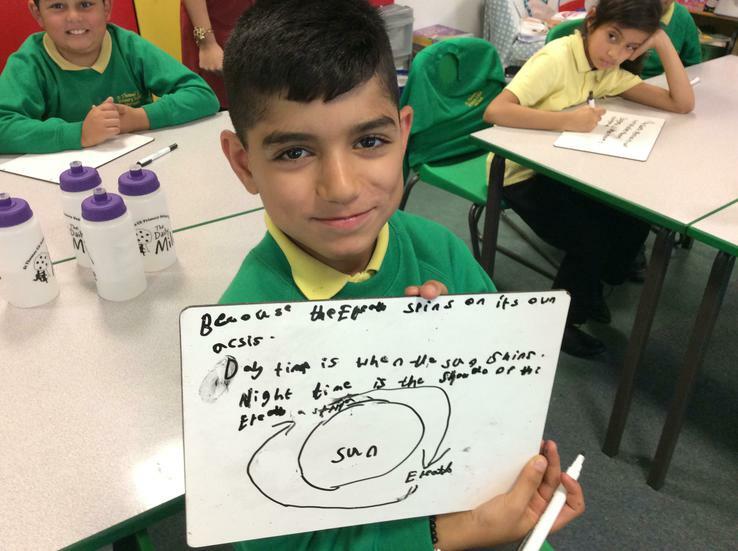 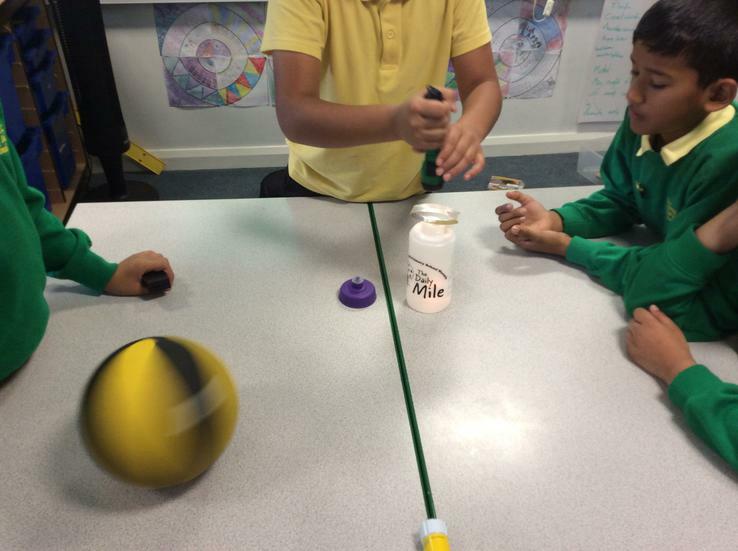 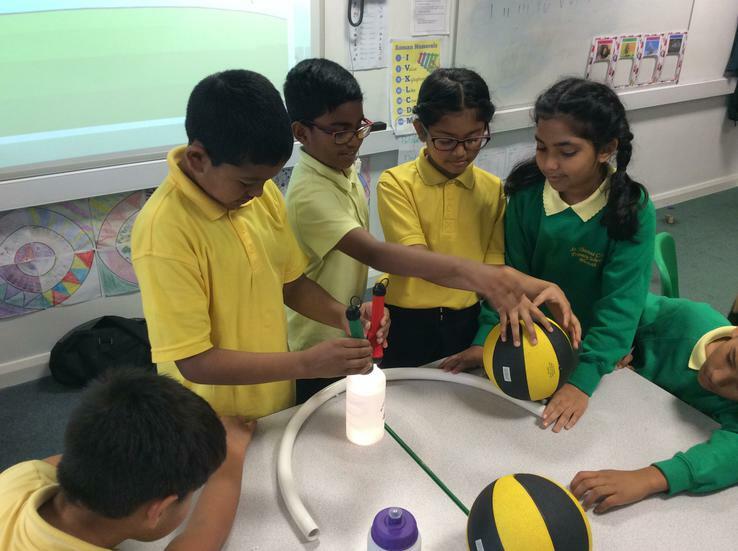 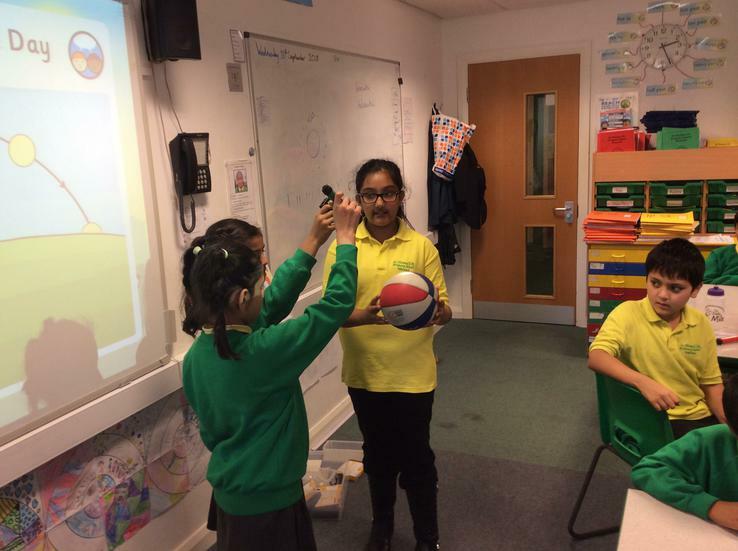 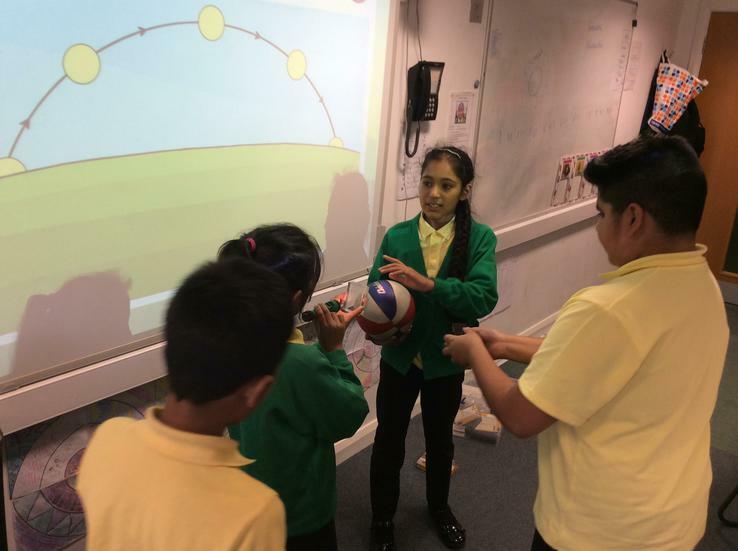 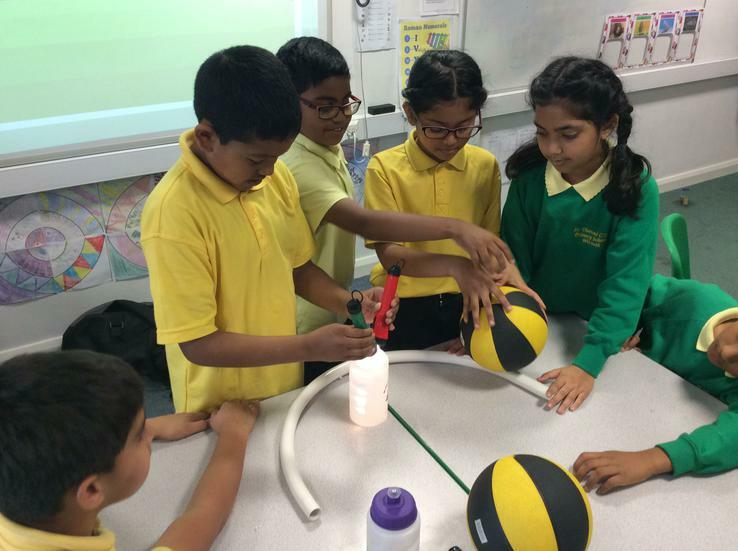 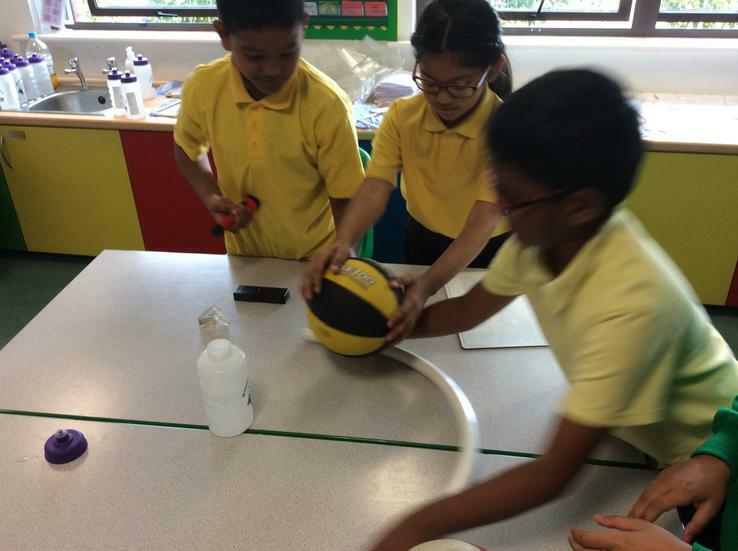 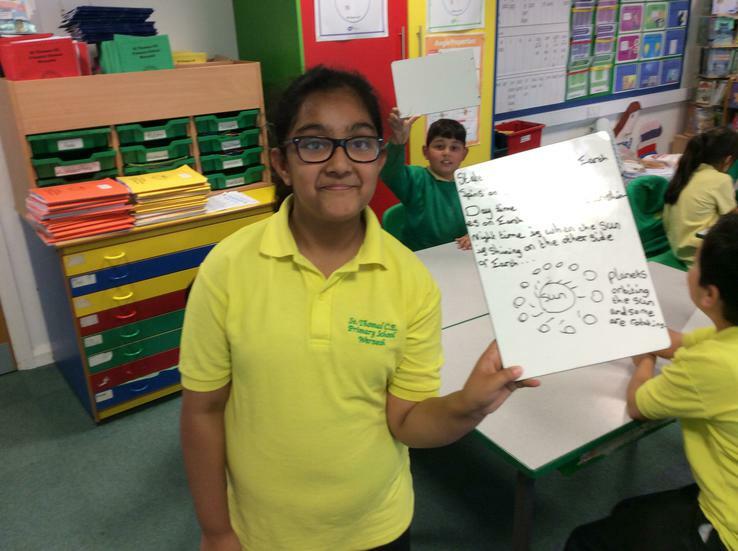 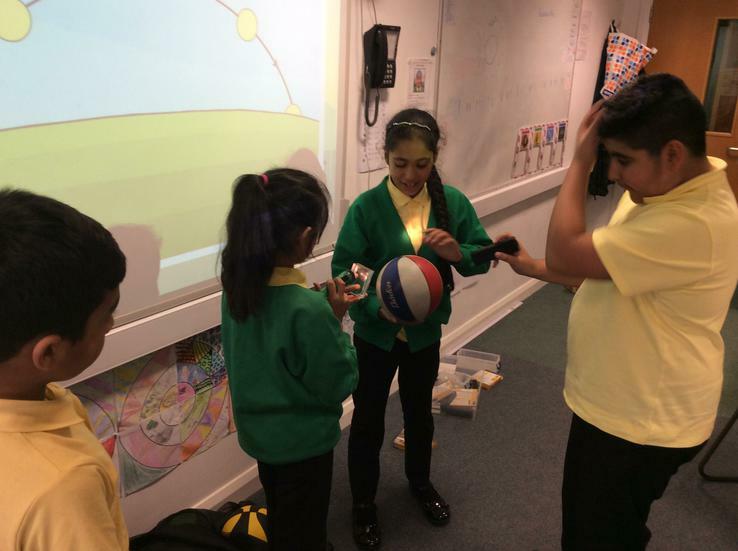 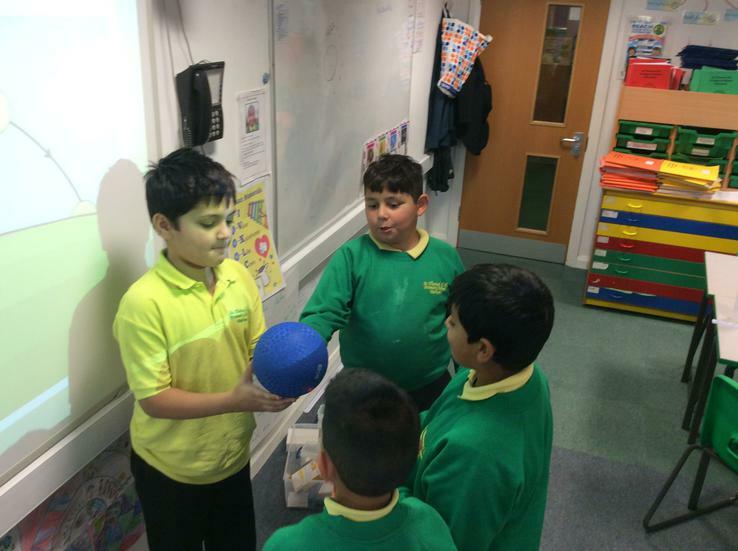 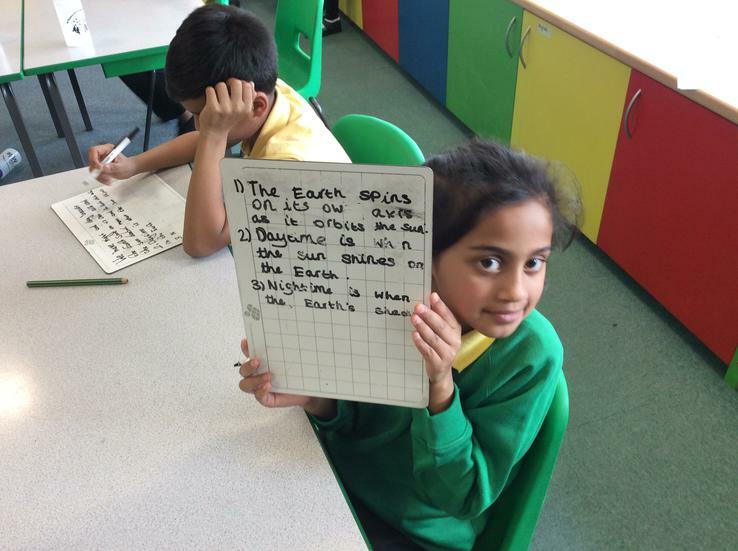 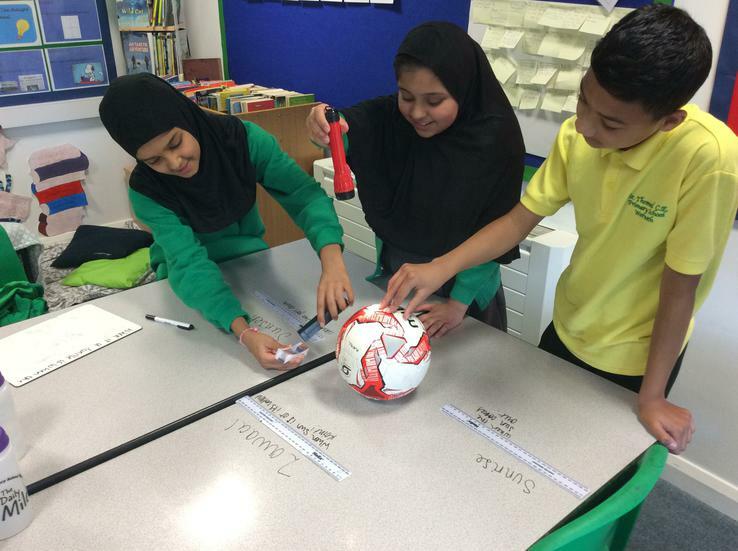 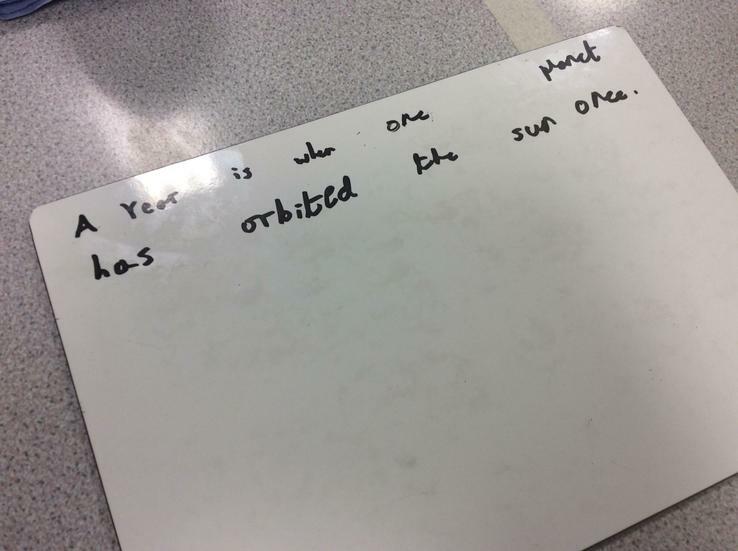 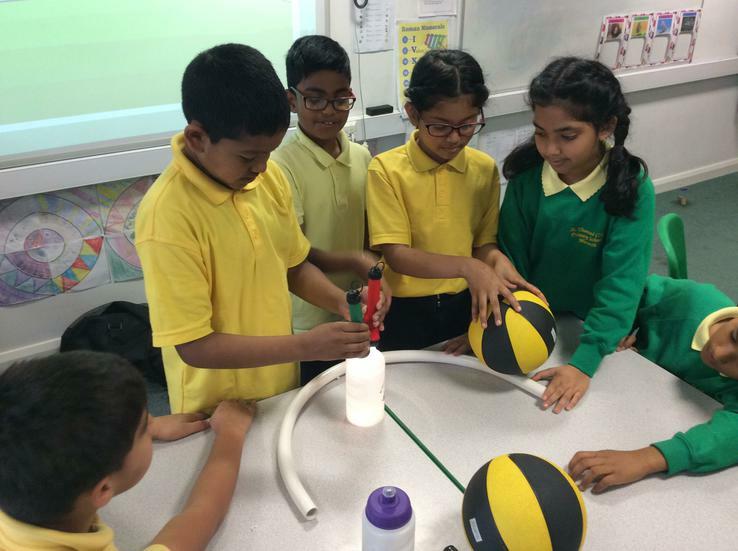 We will look at using evidence to support theories; whether our solar system is geocentric or heliocentric; how many planets form our solar system; the movements of the moon and why we have day and night. 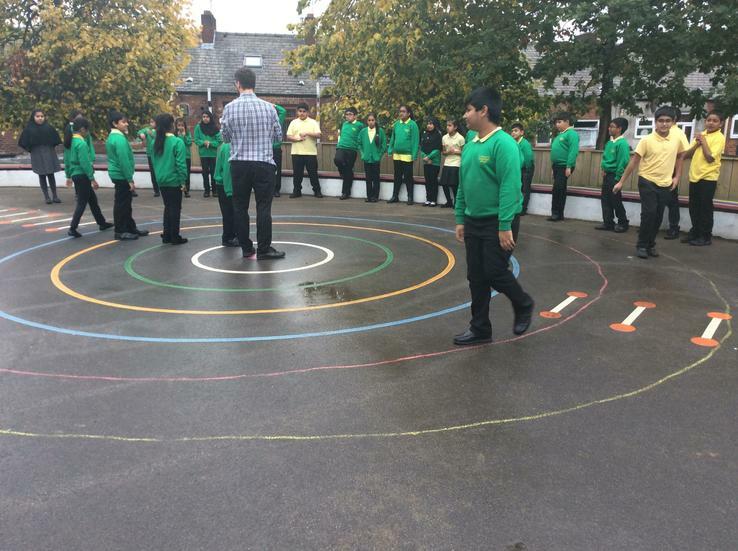 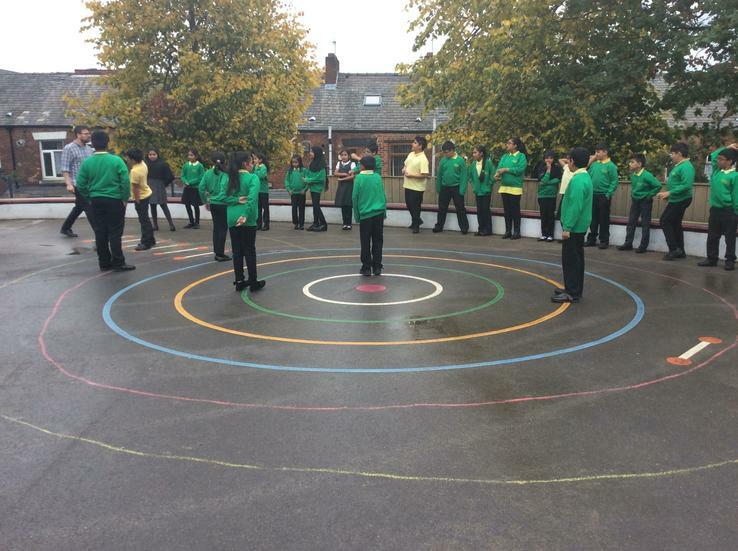 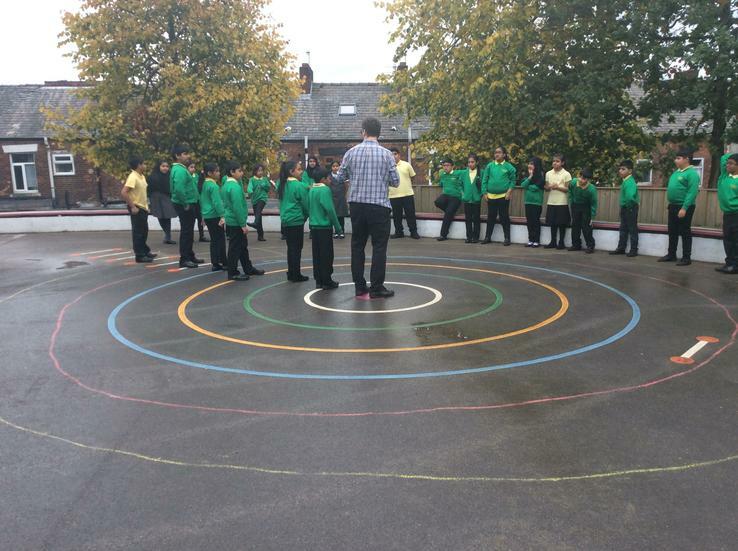 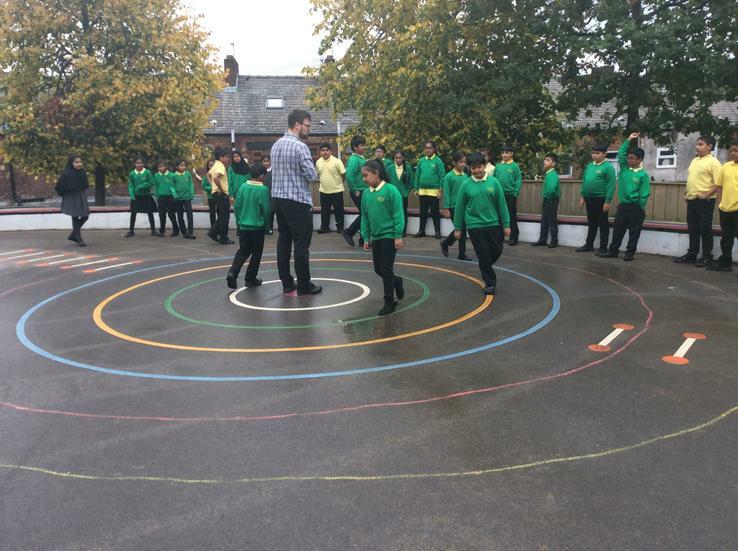 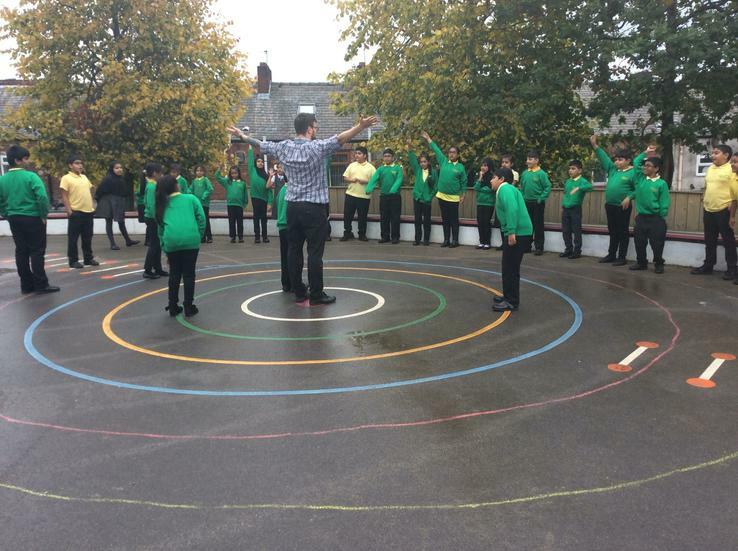 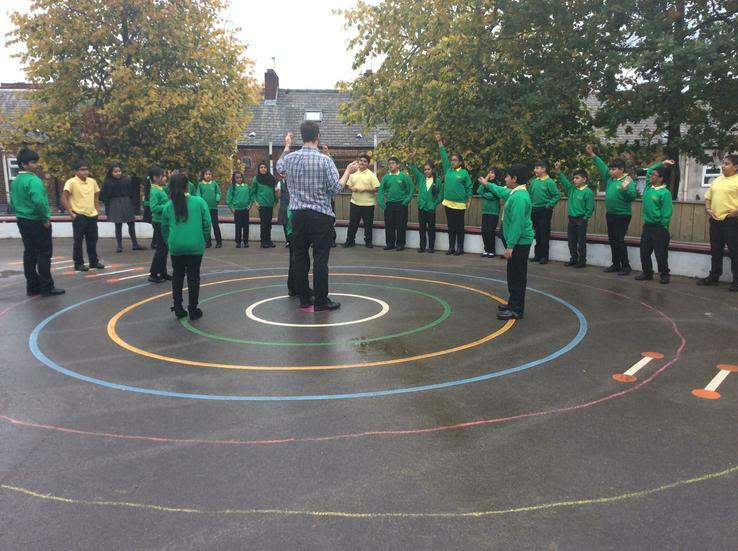 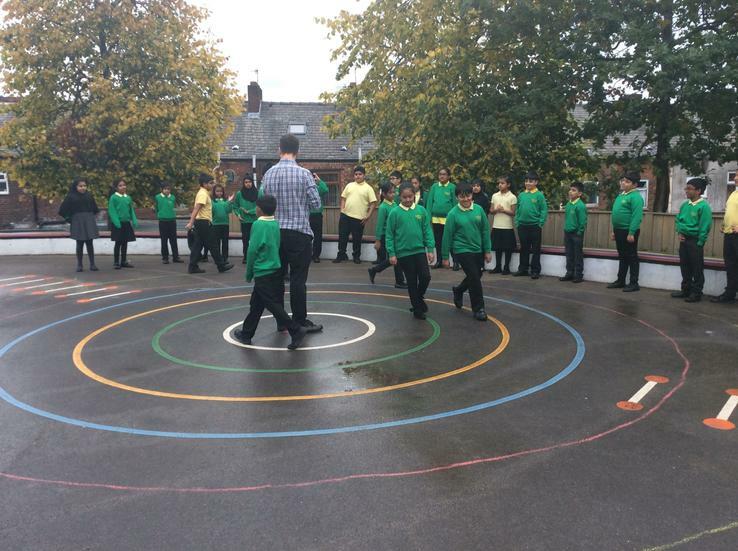 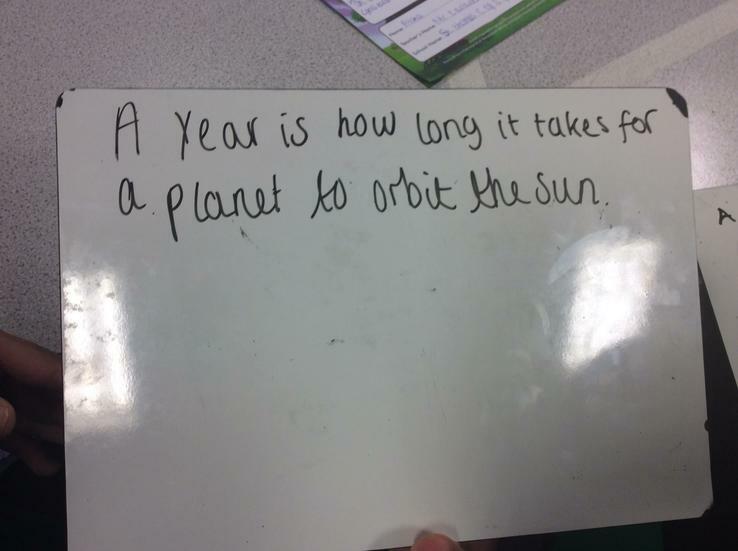 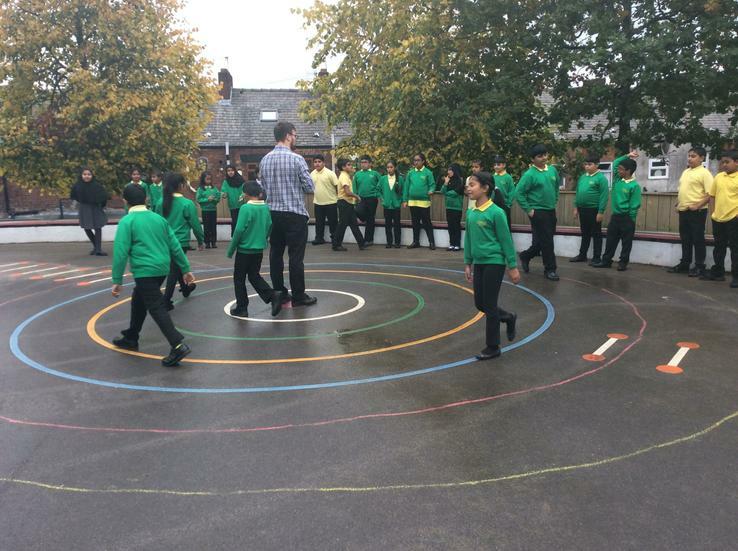 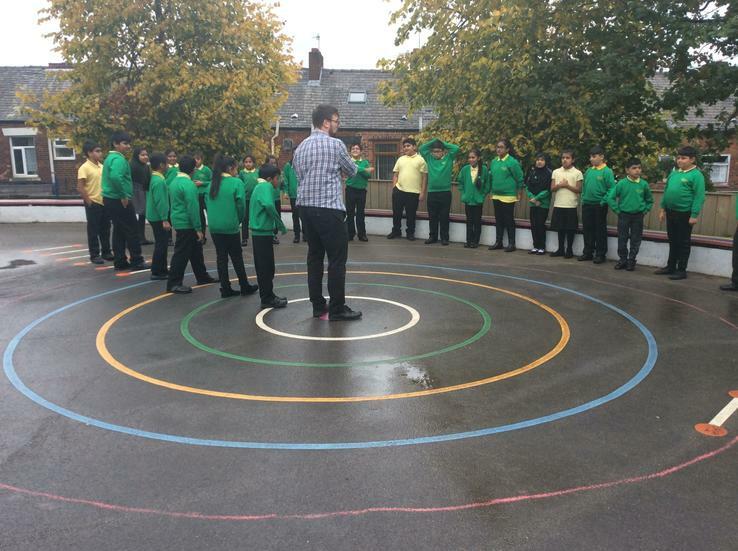 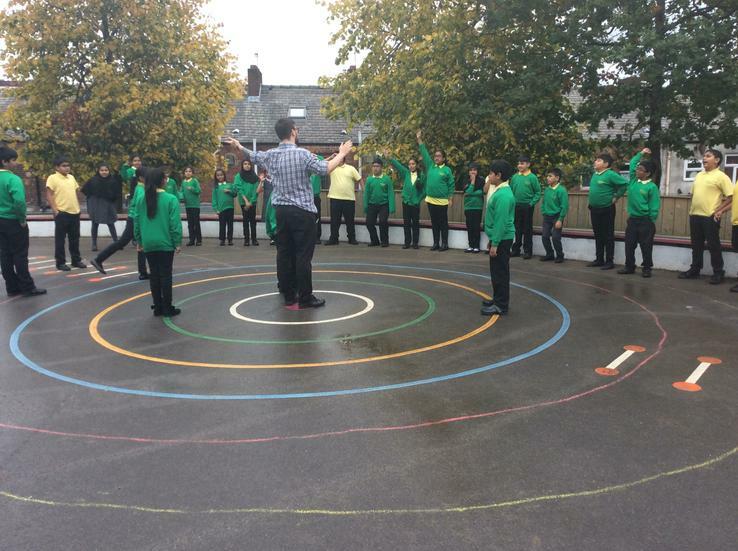 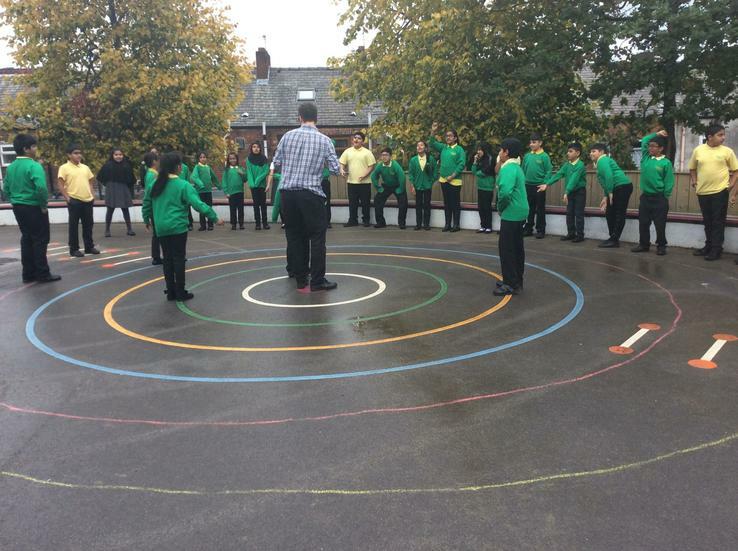 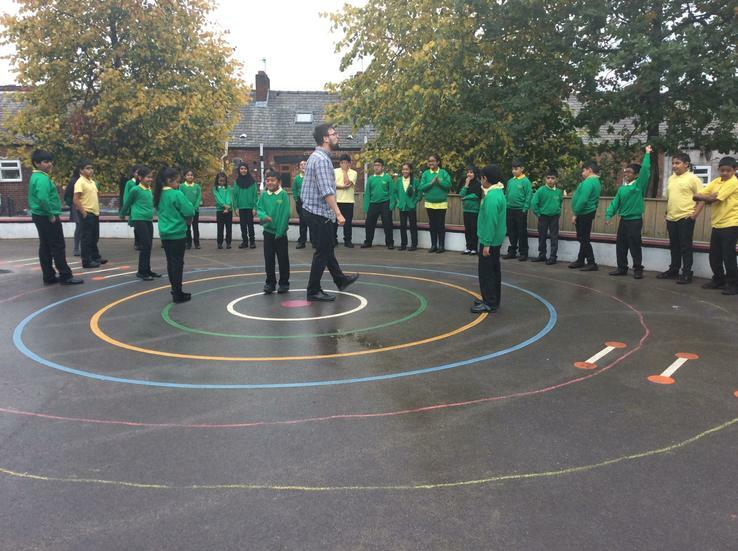 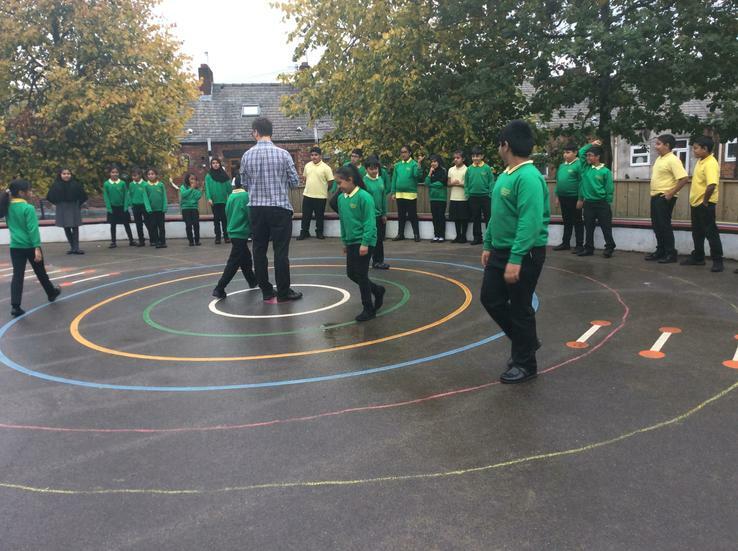 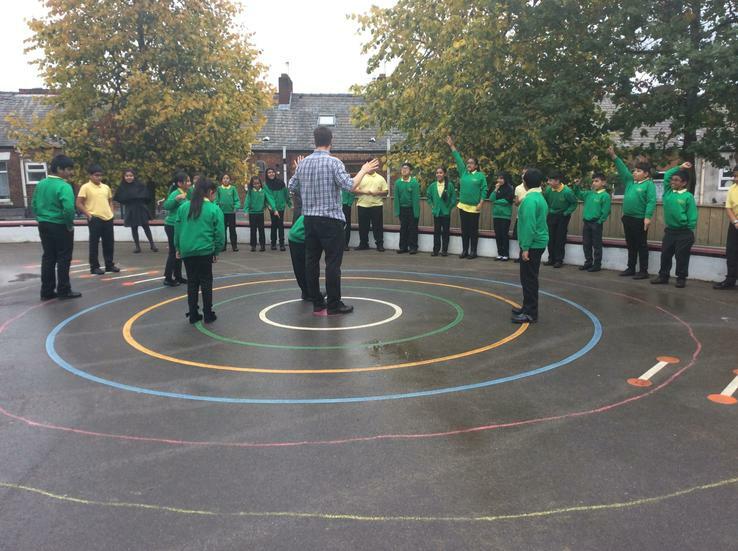 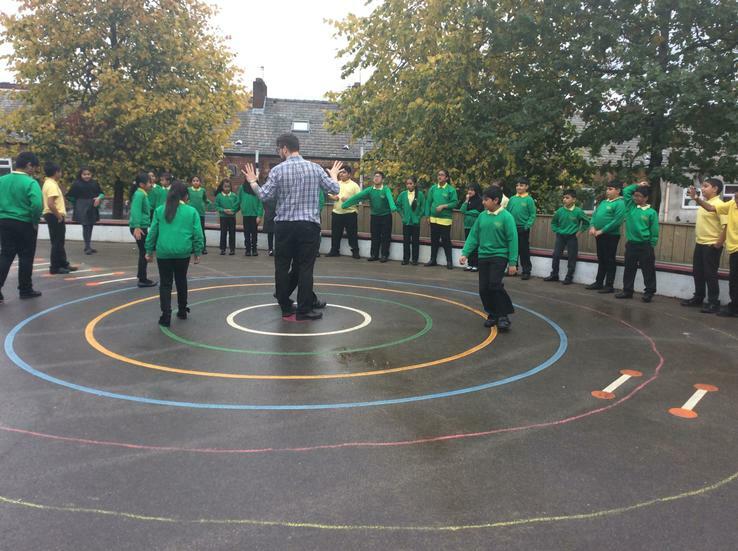 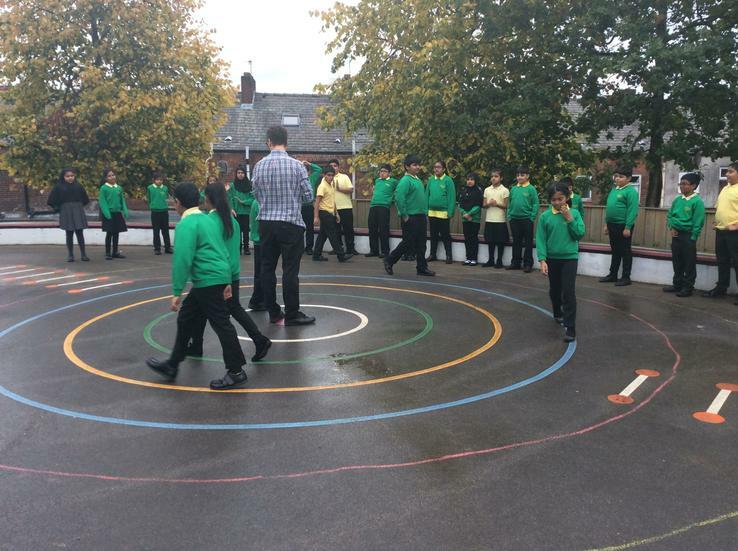 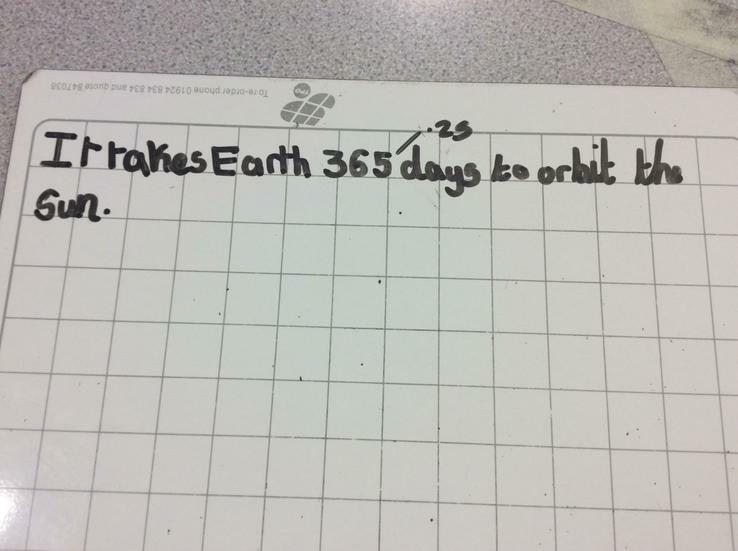 We took our learning outside to see that the further away from the sun a planet is; the longer its year will be! 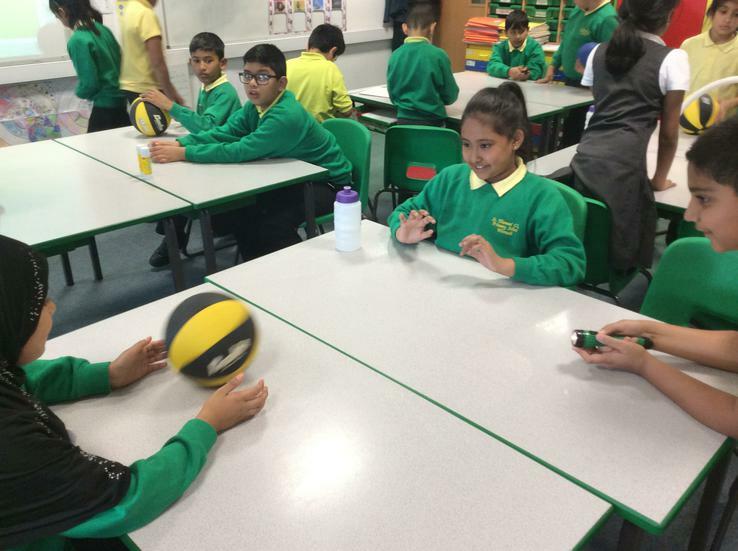 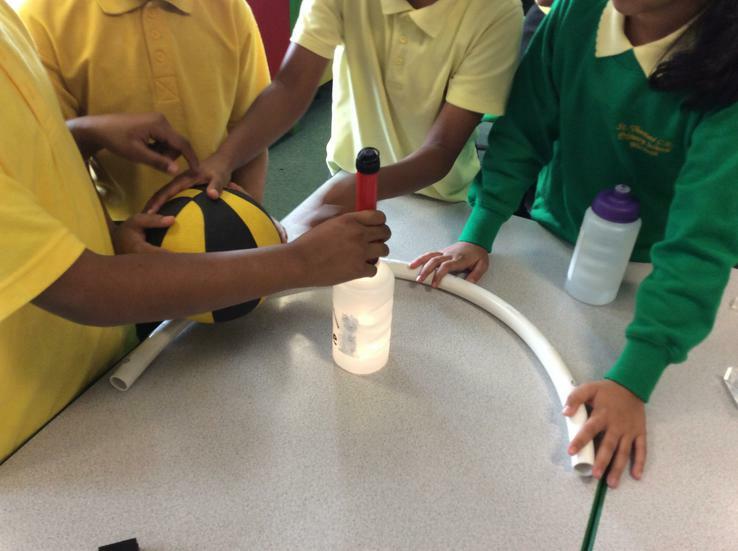 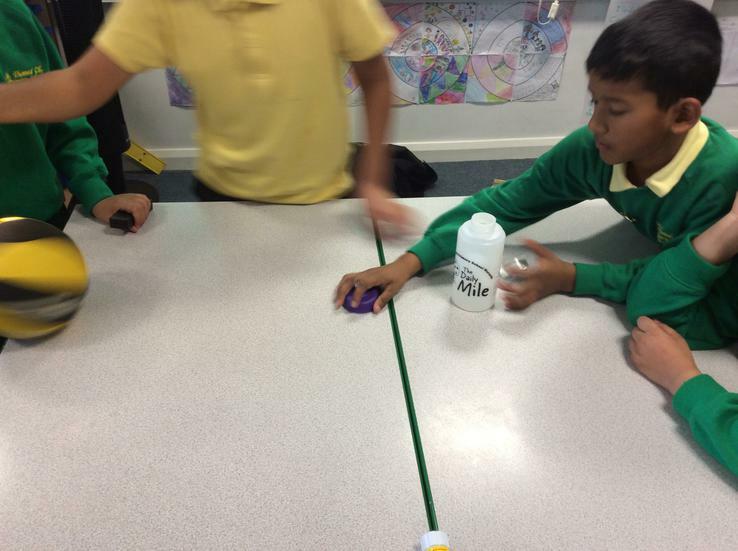 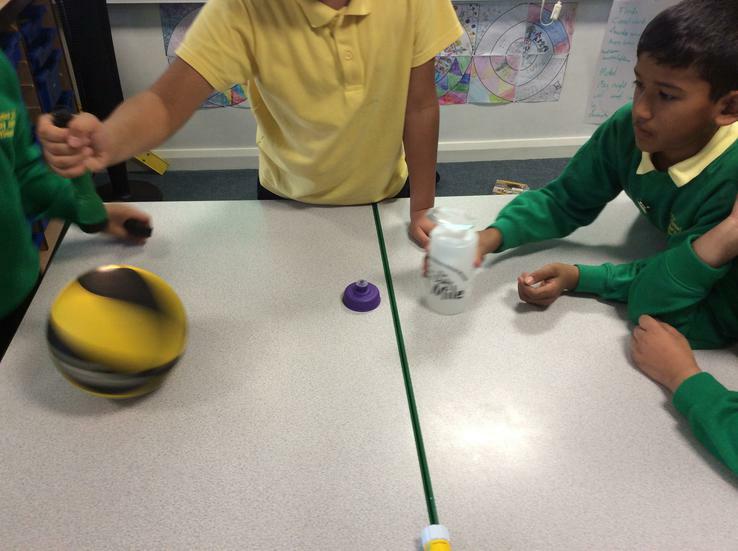 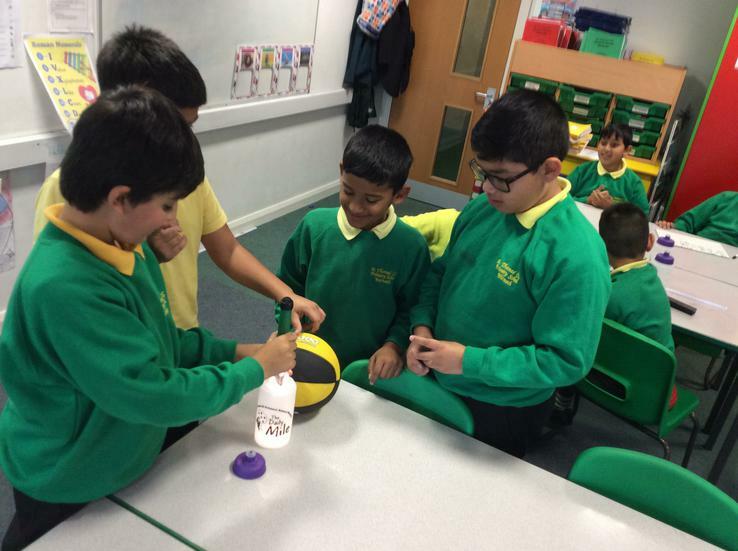 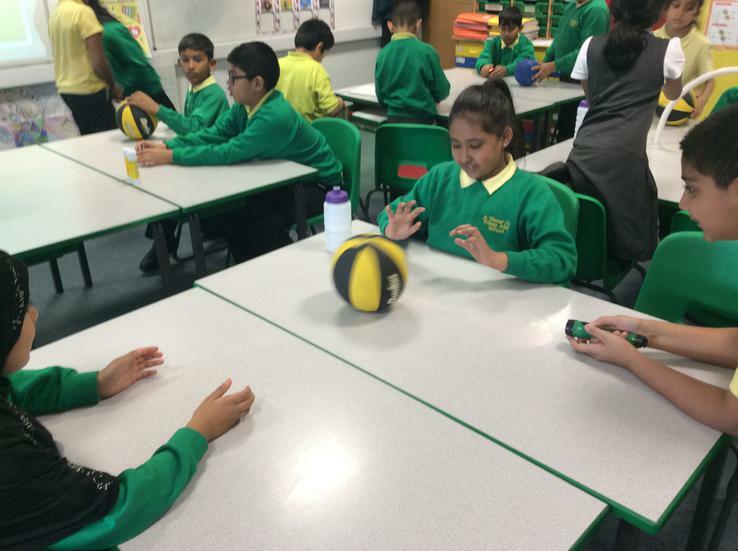 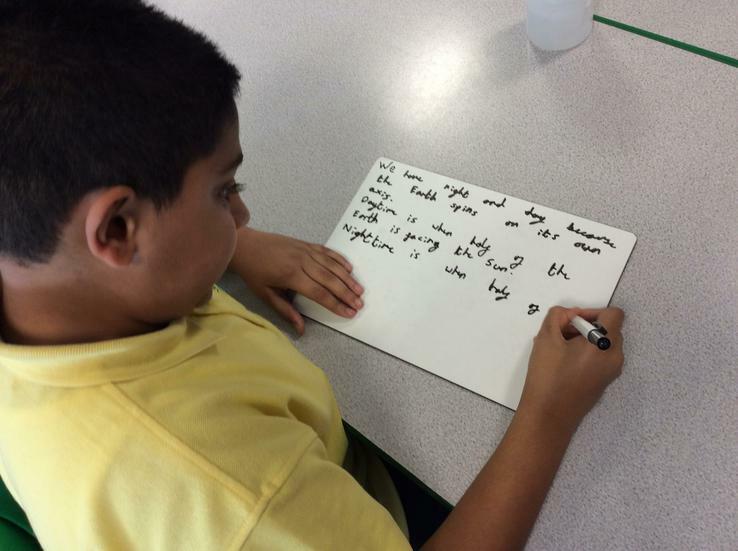 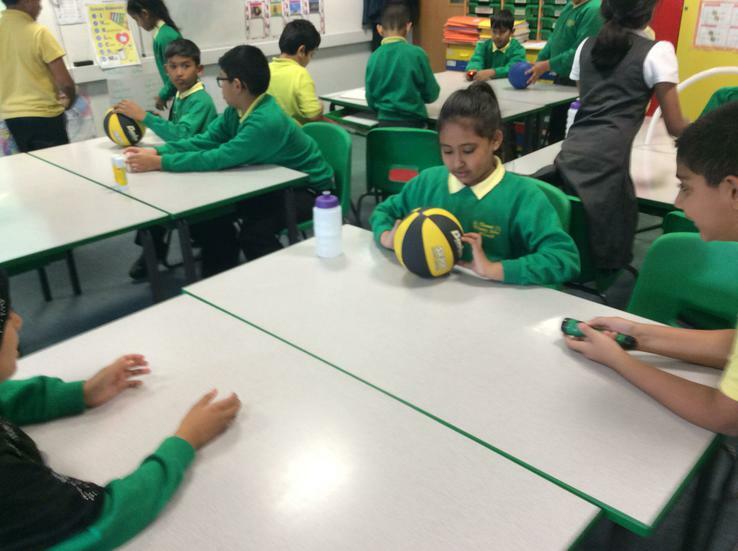 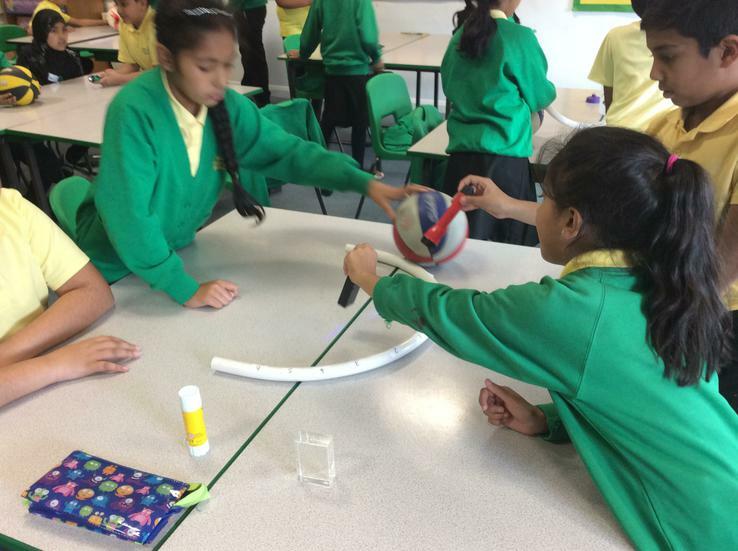 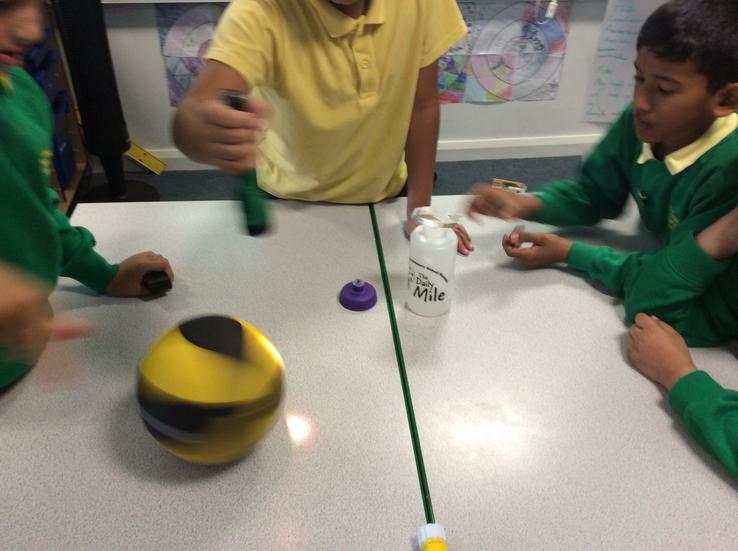 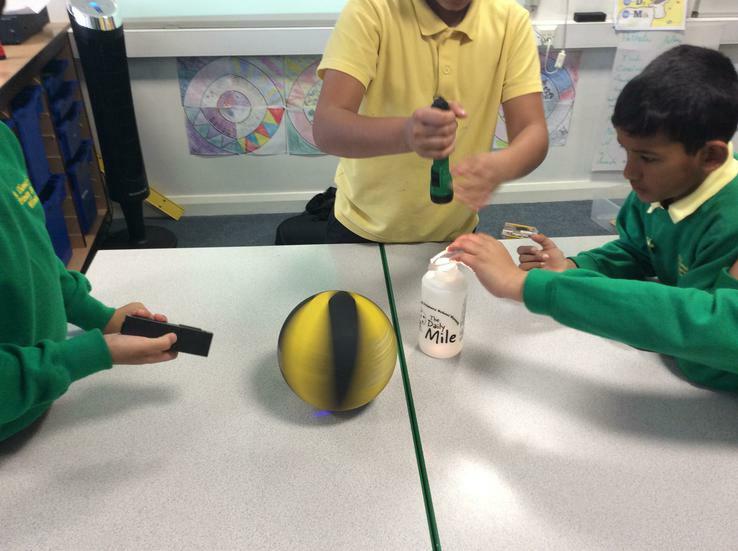 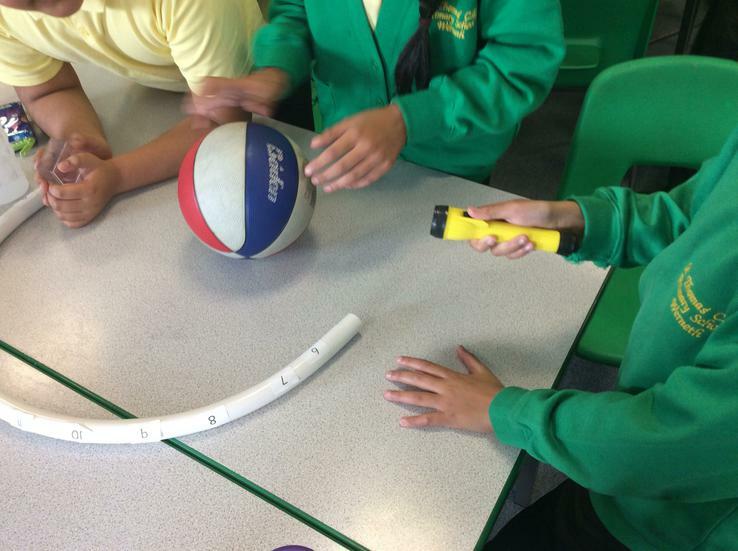 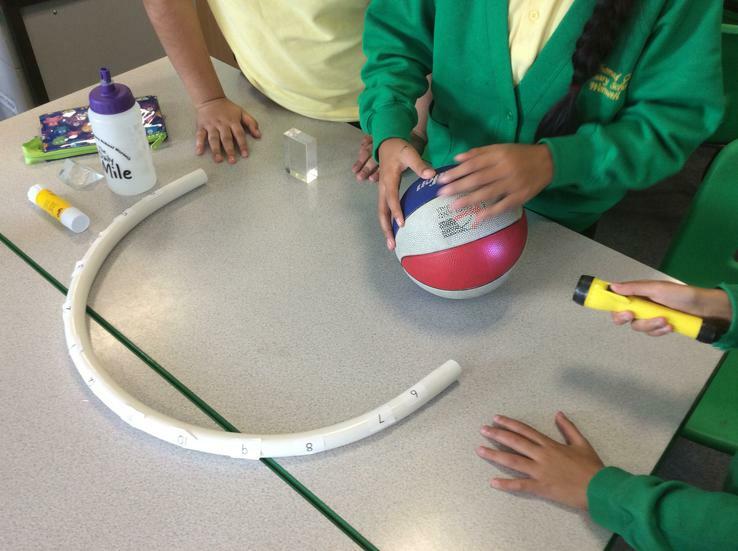 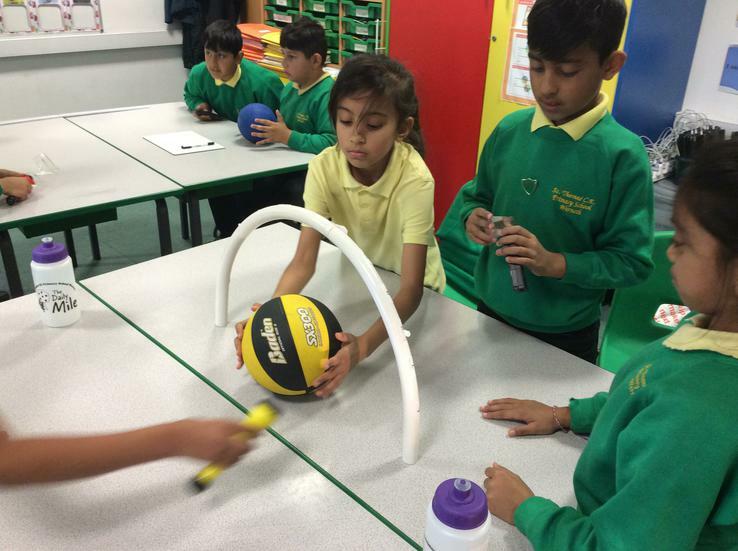 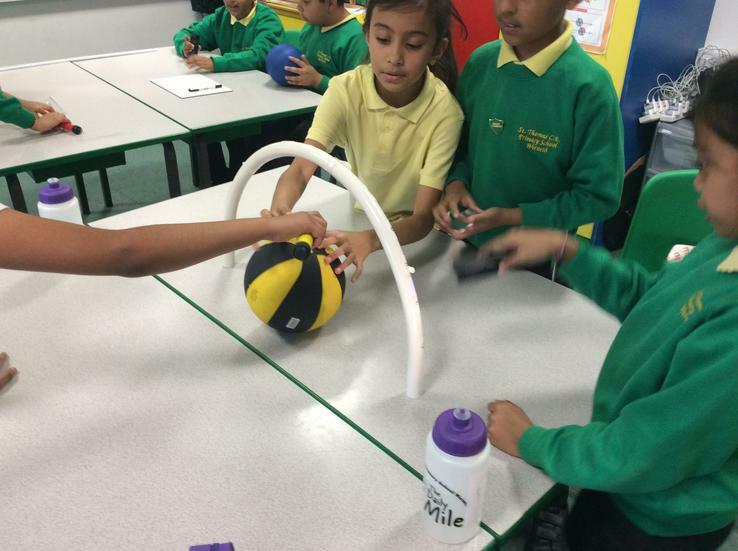 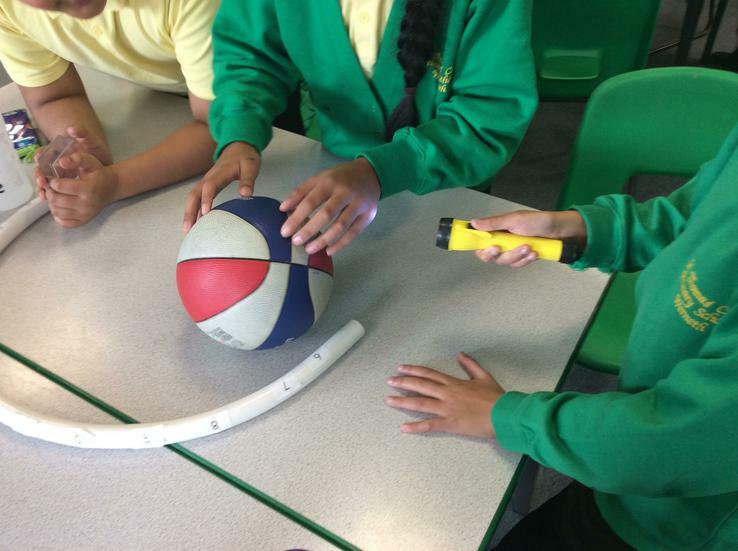 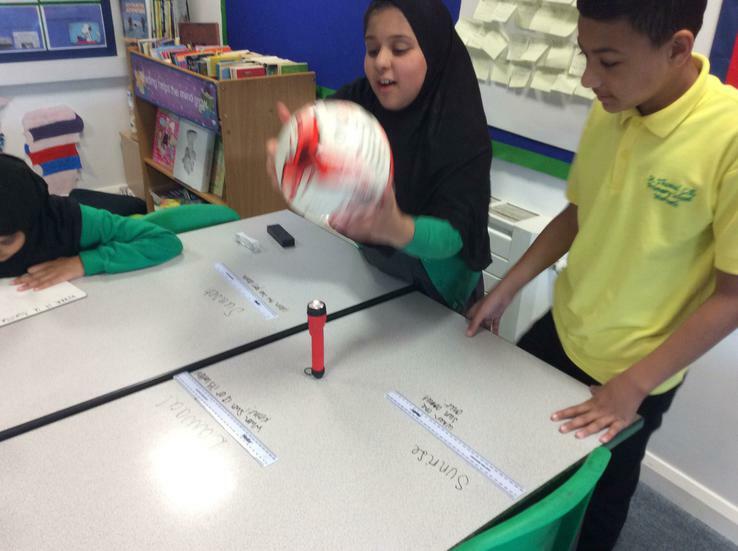 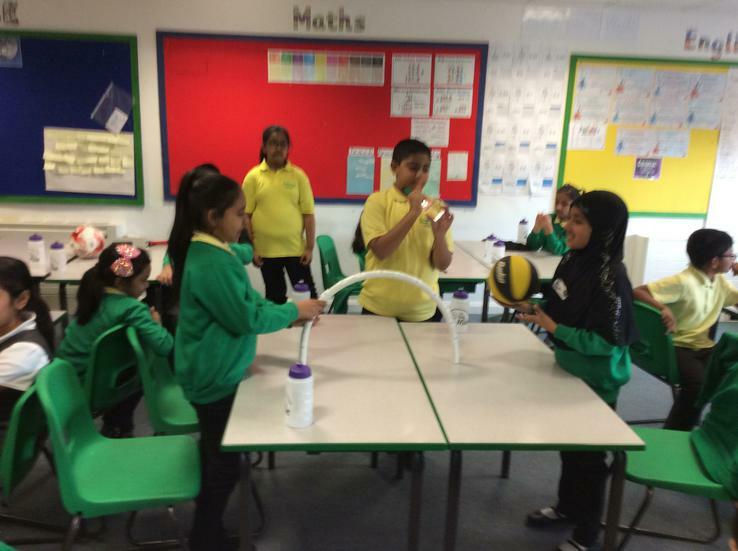 The children used different pieces of equipment to try to discover and explain why we have night and day. 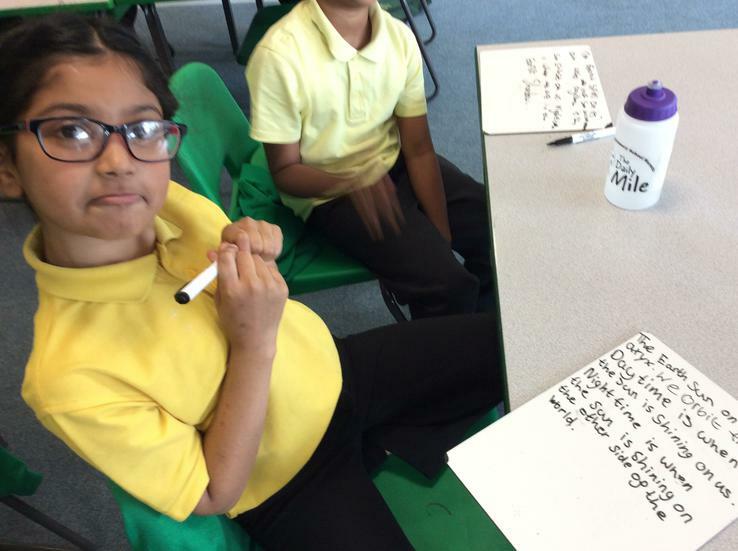 There were a lot of different ideas, each incorporating some element of truth. 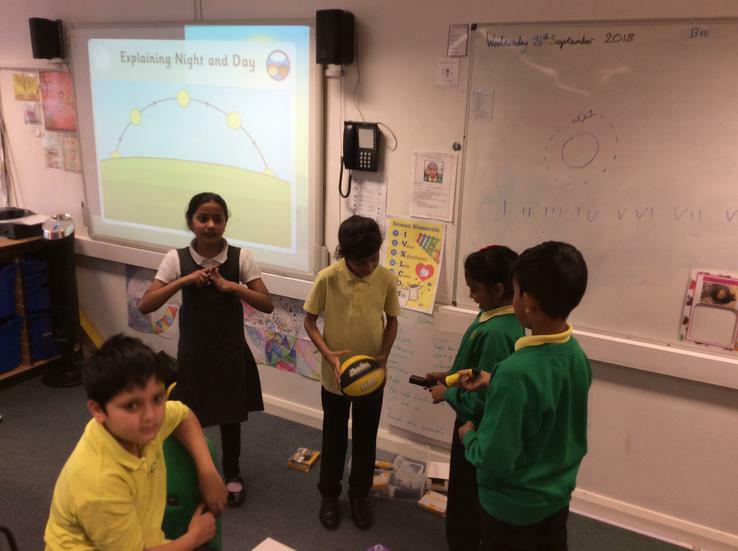 We eventually discovered that the Earth spins on its own axis, whilst orbiting the sun, and this creates night and day. 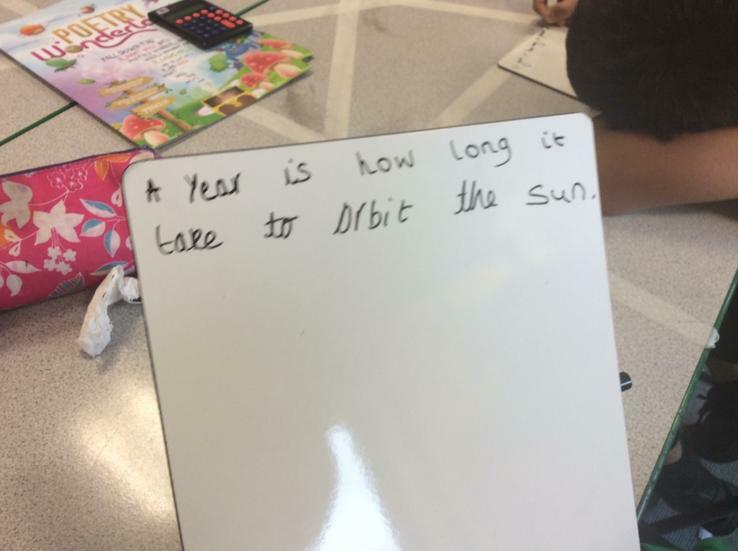 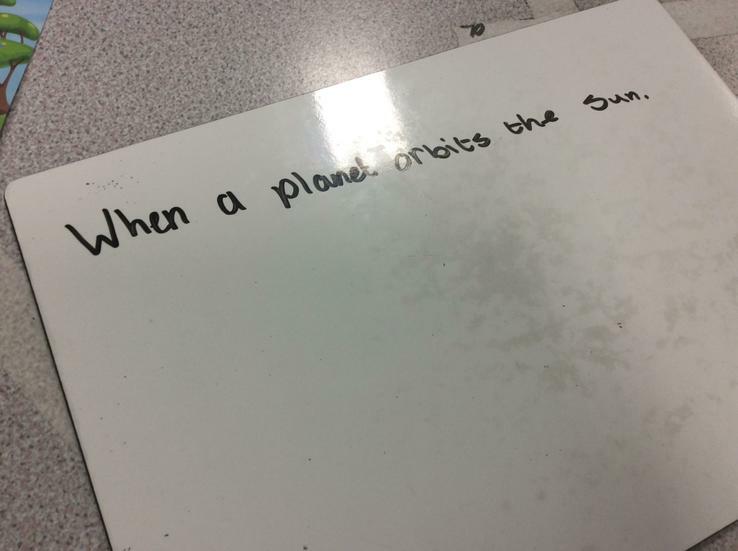 We also learned that the sun only appears to move across the sky as the Earth spins.